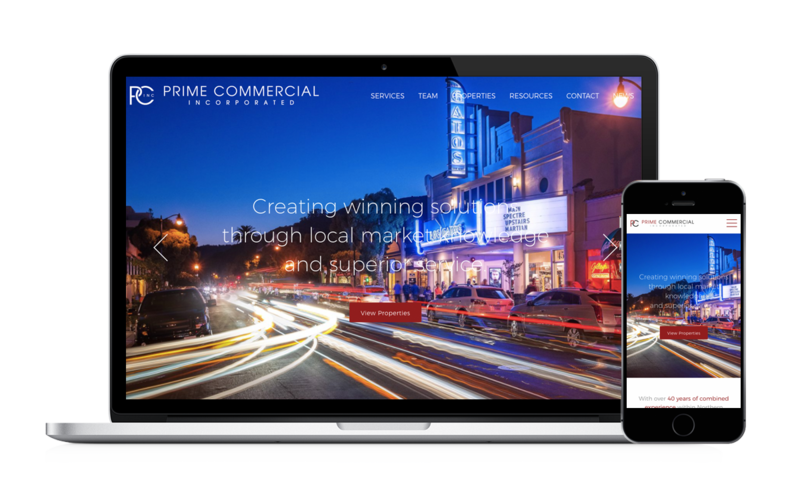 Full service commercial real estate firm, Prime Commercial Inc., needed a new company website that would showcase their brand, property portfolio and services. Working closely with the Prime Commercial team, the new website was designed to represent their corporate identity and enable users to easily browse their property listings. The result is a clean, modern and responsive site, integrated with an interactive Team page, Twitter feed and property search section. A custom-designed property map with alternative views, allow visitors to filter properties, download PDF brochures and access broker contacts quickly and efficiently. The property section also acts as a solid foundation upon which the portfolio can grow and develop in the future. The website features a WordPress CMS (full training provided), enabling the Prime Commercial team to make updates 24/7.